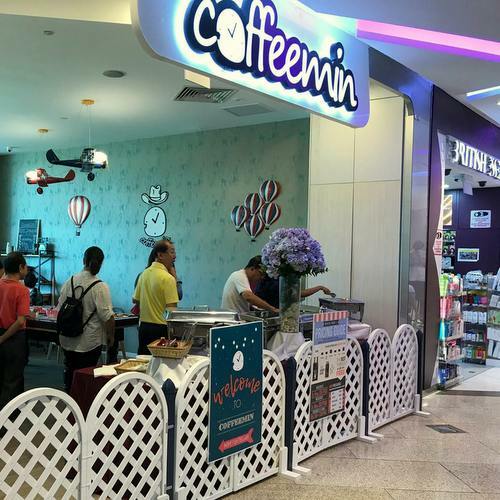 Cafe chain Coffeemin has three locations in Singapore, one of which is Coffeemin LITE cafe at City Square Mall (180 Kitchener Road). Coffeemin is a place that revolutionizes the idea of cafe, letting you be free as yourself: you can work, read a book, play games, get acquainted with people, as well as drink and eat as much as you want. The activities you can enjoy for free include drinks, board games, snacks, pool, Xbox, Wi-Fi, books, computers, study, and coworking – you only pay for the time spend at the cafe (there is a minimum spending per person plus a daily spending cap). The Coffeemin LITE at City Square Mall is a special place, encouraging team-bonding and at the same time creating a warm and inviting space for friends, families, and colleagues to meet. The official Coffeemin cafe brand Facebook page is available at www.facebook.com/coffeeminion. Following the Facebook page, you’ll stay updated on changes to the cafe’s menu, their promotional offers, photos of private events across their locations, and much more.